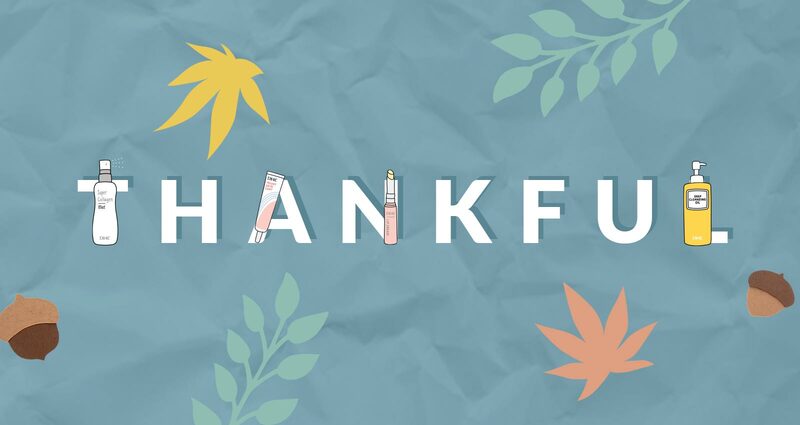 With Thanksgiving around the corner, we want to reflect on the things we’re grateful for. At our San Francisco Bay Area office, we believe that cultivating gratitude every day is just as important a habit as washing your face. And you know how passionate we are about washing our faces! Here are some of the things our DHC staff members are grateful for. We hope you’re inspired to take a moment to think of something you’re grateful for today, too.